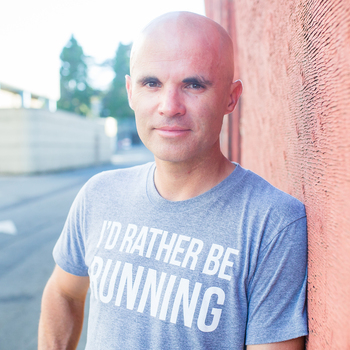 Adam Welcome is an author and accomplished runner from California who I first met via Instagram. I began following him after reading his first book, Kids Deserve It, and saw that he was a runner. In 2017, he decided to do one marathon per month and that led him on an incredible journey. Not only did he accomplish his goal of doing 12 marathons in a year, he also wrote a book about it called Run Like a Pirate. Adam’s journey to his goal included a 24-hour race where he knocked out over 100 miles. In this episode, we talk about his experience of doing one marathon per month for a whole year, what it is like to write a book and have it published, the excuses we make and how we can change our mindset to overcome them, how to mentally recover if a race doesn’t go as planned, and what advice he has for those who may not have the best support system when it comes to running. Adam has so much wisdom to share and even though this is a shorter episode than usual, it is jam-packed with some serious truth bombs. Enjoy this conversation with Adam Welcome!